Al Falah University held a meeting of members of the academic and administrative body, on Sunday, May 22, 2016 to discuss the latest developments and current events at the university. 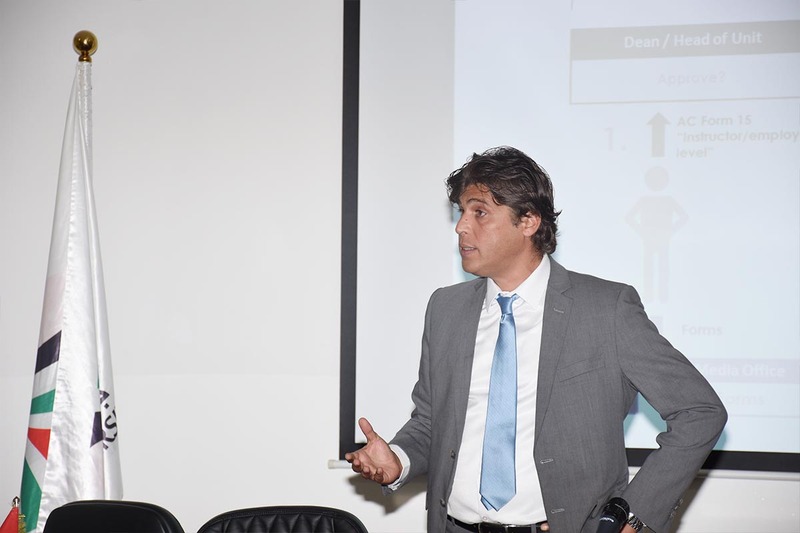 The meeting was chaired by Vice President for Academic Affairs, Dr. Samir Barghouthi. Dr. Barghouthi praised the efforts made by the members of the academic and the administrative staffs for the university to support Al Falah University achieve advanced ranks among the local and international universities. He also stressed on the importance of activating scientific research by members of the academic body, explaining the priorities of the university for publications on SCOPUS database, which specializes in research and scientific studies. 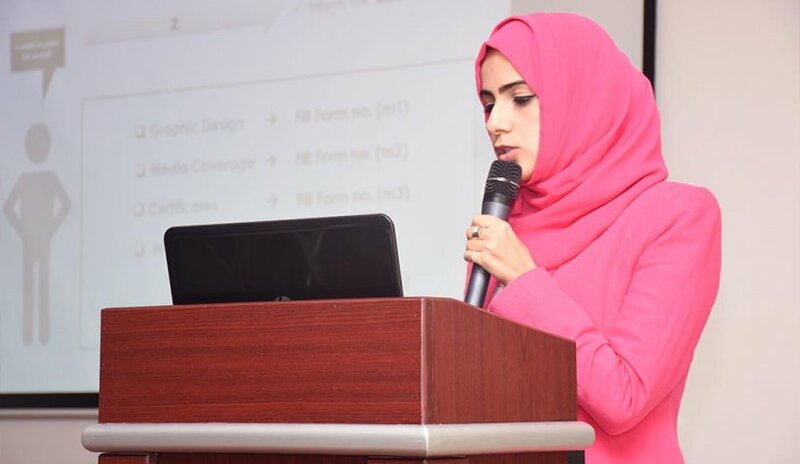 Ms. Durra, from the Media Unit, also gave a presentation explaining the administrative procedures followed by the media office for the management of media coverage of events, lectures and workshops by the various units of the University. At the end of the meeting, Dr. Samir Barghouthi pointed out that the university administration welcomes all ideas and proposals put forward by both the members of the academic or administrative body, which contribute to highlight Al Falah University on the local and international levels. Dr. Barghouthi praised the efforts made by the members of the academic and the administrative staffs for the university to support Al Falah University achieve advanced ranks among the local and international universities.He also stressed on the importance of activating scientific research by members of the academic body, explaining the priorities of the university for publications on SCOPUS database, which specializes in research and scientific studies.Ms. 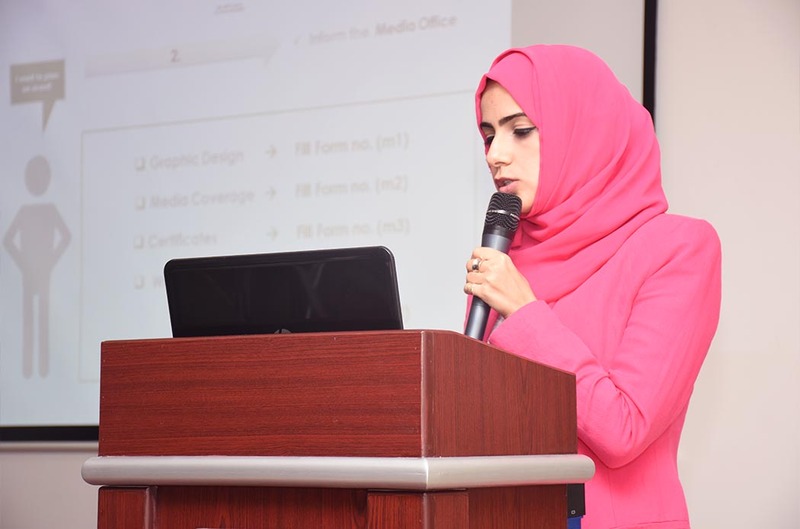 Durra, from the Media Unit, also gave a presentation explaining the administrative procedures followed by the media office for the management of media coverage of events, lectures and workshops by the various units of the University.